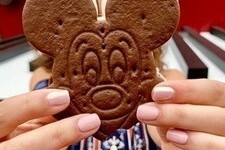 Did we mention they're irresistibly affordable? 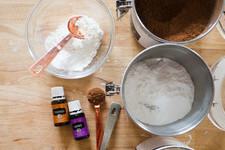 As if any of us needed more of a reason to love Target, you'd be surprised at just how many fan favorite hair products and brands the beloved department store retailer carries. And that's true, too, for lazy girls — because hey, just because you're lazy, doesn't mean you want to completely forgo your hair. It's just that you want to get away with the bare minimum most days. Who even has time to wash and style their luscious locks everyday? I mean, amiright or amiright? From deep conditioning treatments you can do in less than 5 minutes to air-dry-and-go creams, fast-absorbing frizz-defying towels, and a professional hairdryer that'll give you a salon-quality blowout in half the time it would normally take (no, I'm not kidding), these hair products are the ultimate selections for lazy girls. Oh, and did I mention they're all irresistibly affordable? Thanks, Target. For all hair types, especially dry hair, this deep conditioning hair treatment works its magic in only 3 minutes — perfect for those who just don't have the time or energy to devote to intensive 20-minute scalp sessions. It combines Australian aloe and jojoba seed oil to instill your damaged tresses with maximum hydration. Plus, it's less than $3 — you really can't go wrong. As a naturally curly-haired human being, I've waded through more than my fair share of hair products with false promises of detangling and de-frizzing. I'll go ahead and state the obvious here: The majority of these products do not work — at best. Others are drying, if not damaging, and leave your locks sticky to the touch to boot. Ugh. This sea salt spray from Not Your Mother's, on the other hand, gives hair (even naturally curly textures) that covetable beachy feel, without the frizzy mess. If you're like me, you know how hard this is to find, especially at this price point. Finally — a dry shampoo that works like a charm, but without the steep salon price tag. 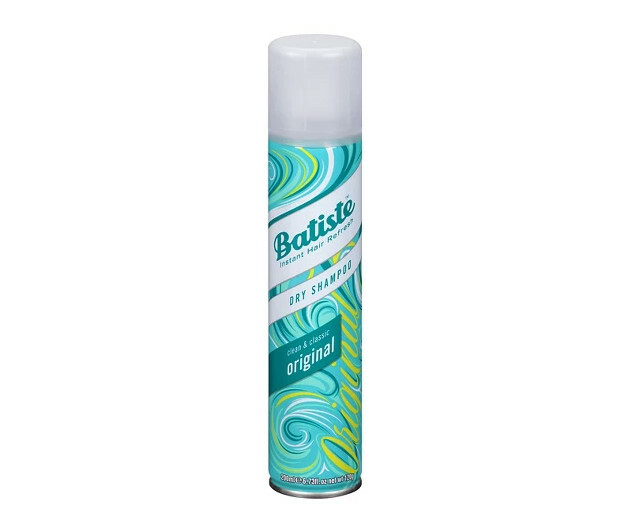 This original dry shampoo from Batiste does just that; plus, it's got hints of lily, rose, and lavender, so it'll make your hair smell divine. Think twice before continuing to use a regular towel to dry your hair post-shower. 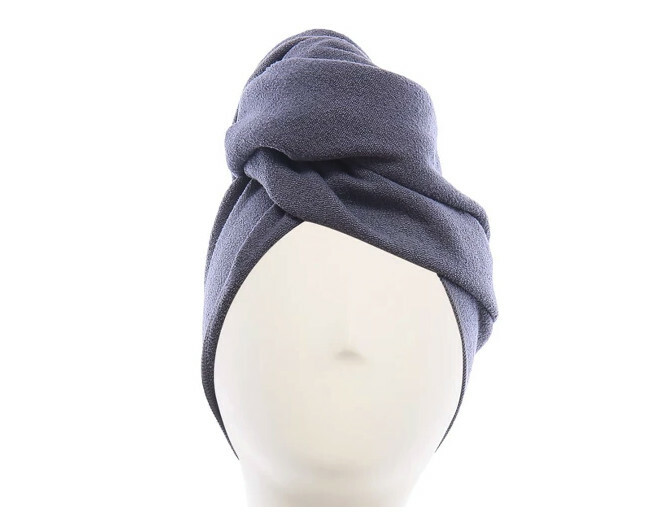 Not only will this fast-drying microfiber turban eliminate a good portion of heat-styling time (or running-around-with-wet-hair time), but it's gentler on locks — meaning you'll be able to forgo the usual frizz and breakage caused by your usual towel. Oh, and did I mention it's only $20.49? 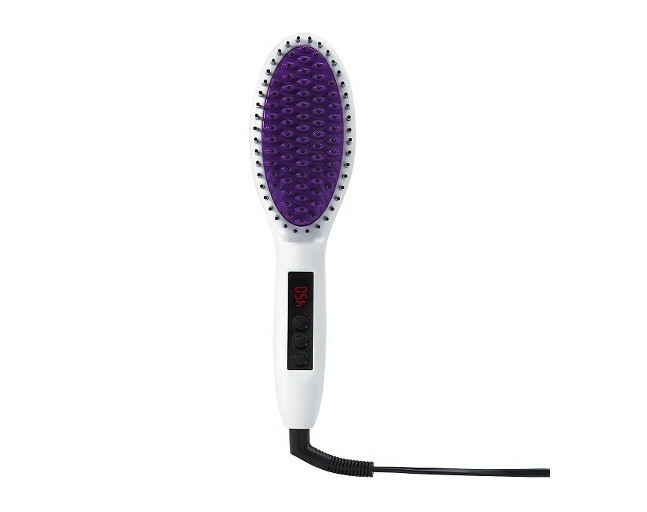 If you're the kind of lazy gal who just can't even with the time-consuming aspect of straightening your hair, but still don't want to forgo smooth (if not frizz-free) tresses, try this ceramic straightening brush on for size. It works on all hair types, although you'll want to be sure your hair is completely dry before use, especially if you've got thick or wavy hair. 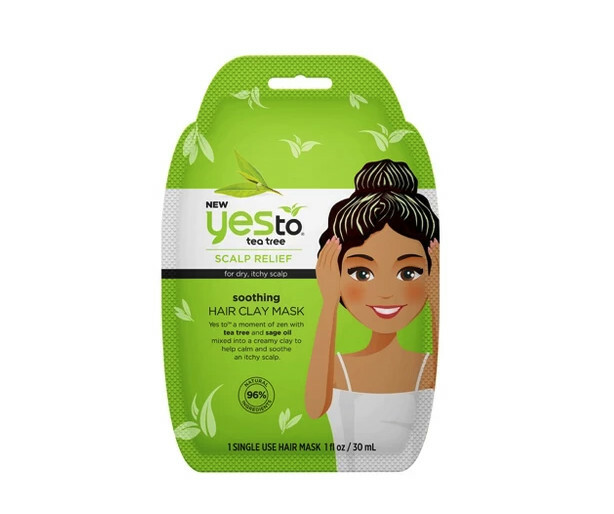 Another solid option for lazy girls looking for viable haircare treatments and deep conditioning products that won't take long to apply, this hair clay mask may just become your go-to. Featuring tea tree oil, it can be applied to wet or dry hair before you shampoo, or as a replacement for conditioner, to quickly soothe and moisturize a dry and itchy scalp. If you've recently bleached your hair, let's just say this conditioning treatment is a must. 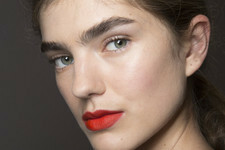 If you don't already own (and love) a Wet Brush, then it's high time to hop on the bandwagon. 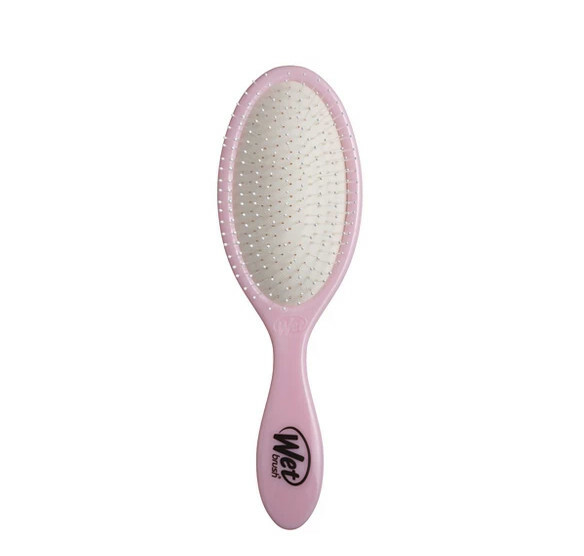 The Wet Brush Original Detangler is designed for use on wet hair, and it certainly shows, working to quickly untangle even the most intimidating knots. 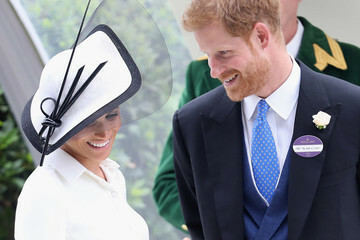 Not to mention the bristles are thin but flexible — no broken or bent "teeth" here. Yes, yes, and yes to all of the above! 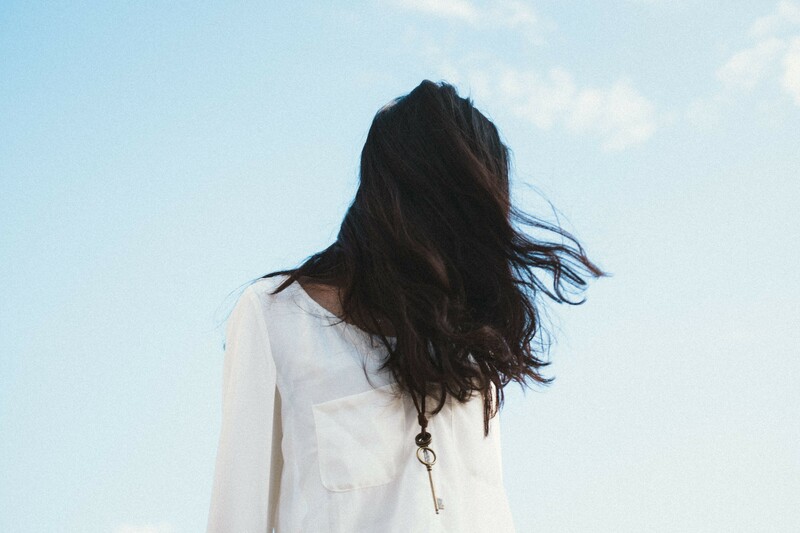 There's nothing like a good leave in conditioner to ensure healthy, low-maintenance hair. 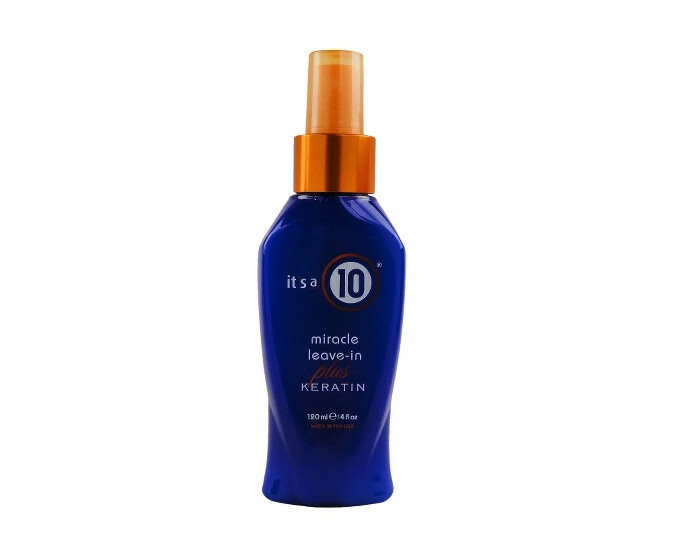 This one from It's a 10 features keratin, a straight up god-send for fortifying and strengthening locks — and for smoothing purposes — but the formula remains lightweight, which is rarer than you might think. This means you can either use it daily on either damp or dry locks as a heat protectant, or simply work it into wet hair and go for a totally low-fuss 'do. Lazy enough that you'll straighten your hair and leave it for three days — at least — if at all possible? Hey, no shame in that game. 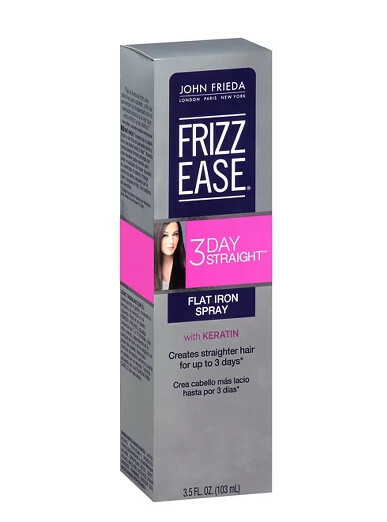 Make that second- and third-day hair work for you with this flat-iron spray from John Frieda®. The aluminum-free, keratin-infused formula imparts a glossy look without weighing down tresses, which means that yes, you can leave your hair for several days without it looking overly greasy. No frizz, no need to re-straighten, no problem. Try a "Spiral Twister" in lieu of your average, overly-stretched-out hair tie for Big Pony Energy that won't create that annoying dent in your hair. Because yes, even the finer-haired girls know the struggle that is re-straightening that frustratingly bumpy section in the back of your head over and over again without fail. 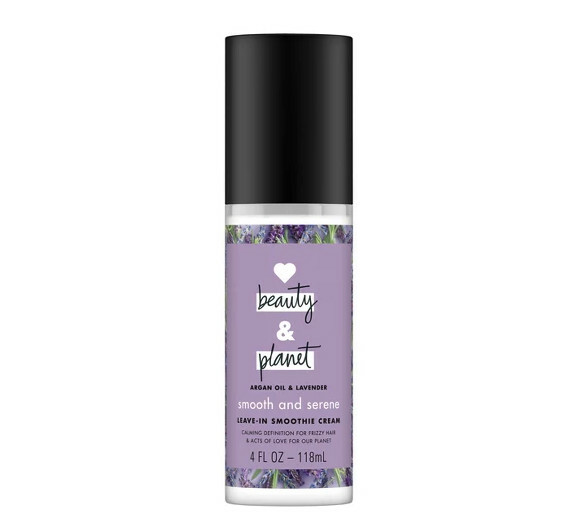 Not only is the packaging for this leave in cream from Love Beauty and Planet super-cute, but their bottles are made from 100% recycled materials and are recyclable themselves (minus the caps and pumps, but according to the brand, that's coming soon). It's infused with argan oil and lavender to smooth tresses and calm frizz, while ensuring your hair smells delicious. According to the product description (and rave reviews), "If you only have time for one product, let this be the one. It smooths, adds shine, separation and texture, what more could you want?!" Guess what else? 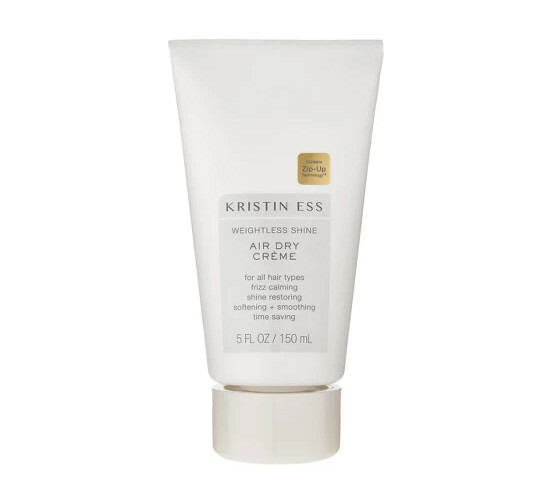 This air-dry cream from Kristin Ess works on all hair textures. Score! This professional hairdryer will make it all the more easy for you to attempt — and yes, even achieve — salon-quality results in half the time. What is this sorcery?! you ask. 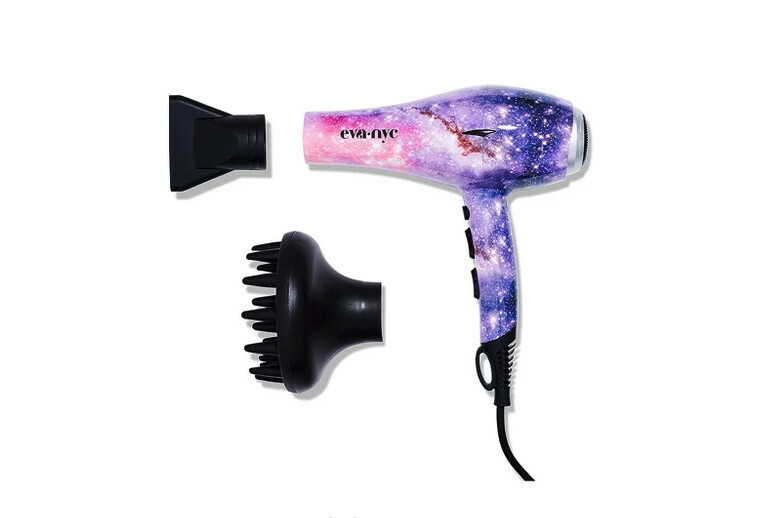 It's simple: This blowdryer from Eva NYC comes with tourmaline-infused ceramic components that emit negative ions, which helps to lock in moisture while eliminating heat-styling time, ultimately drying hair up to 50% faster. The ultimate heat-styling product for lazy girls. 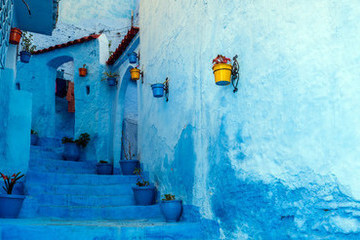 We hope you like these products! Just so you know, Livingly may receive a portion of shares from these links.